Joseph provides high quality music tutoring and coaching on the guitar as well as theory lessons and support for pupils taking their GCSE and A level music. He teaches from his home Studio in Derbyshire as well as providing online lessons and coaching. More information on services and pricing can be found here. "It is my belief that Music is a very challenging area of study balancing the emotional and artistic with the academic and disciplined. However music isn't just for the "gifted", with the right tutor, music is accessible to anyone willing to pick up an instrument. This is why each of my pupils is catered for separately to meet individual needs". Joseph has been teaching since 2007 and has developed his own approach to teaching music and the classical guitar from the hundreds of hours of lessons with world class tutors to his studies of techniques and teaching methods. The main objective being to give each pupil the individual attention they need to help them develop at a speed and level that they are comfortable with. He also puts great emphasis on developing their overall musical knowledge enabling them to become more rounded musicians. He is the current tutor in a number of private schools across the Midlands including Lichfield Catherdral School as well as teaching privately from his home. He teaches all levels from Initial to Diploma of both Trinity Guildhall and ABRSM Boards as well as ABRSM theory. 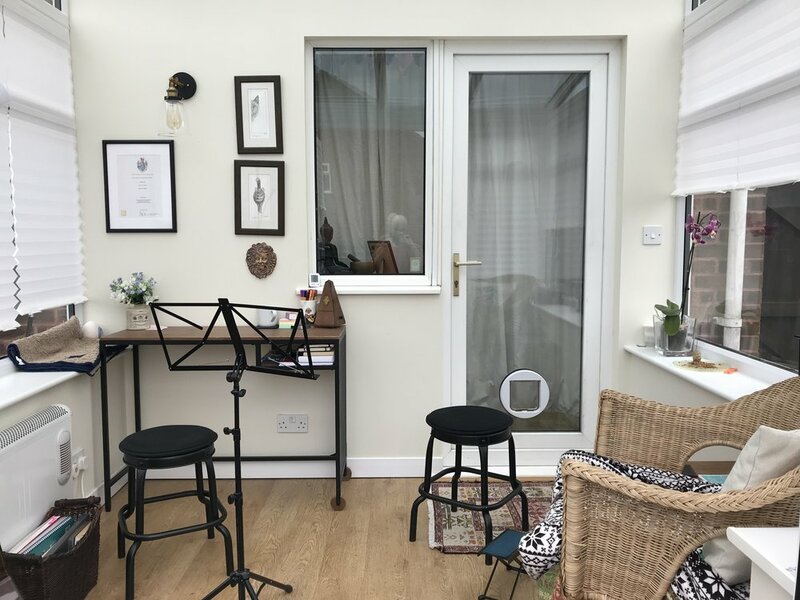 He also offers Electric and Acoustic lessons as well as introductory Ukulele lessons for younger pupils as a progression to a full size guitar. Joseph has a full advanced DRB certificate and is NSPCC child safety trained. Joseph teaches from his home in Oakwood, Derbyshire. For all information and availability of private lessons please don't hesitate to get in contact.